Finally, everything has come to a close. 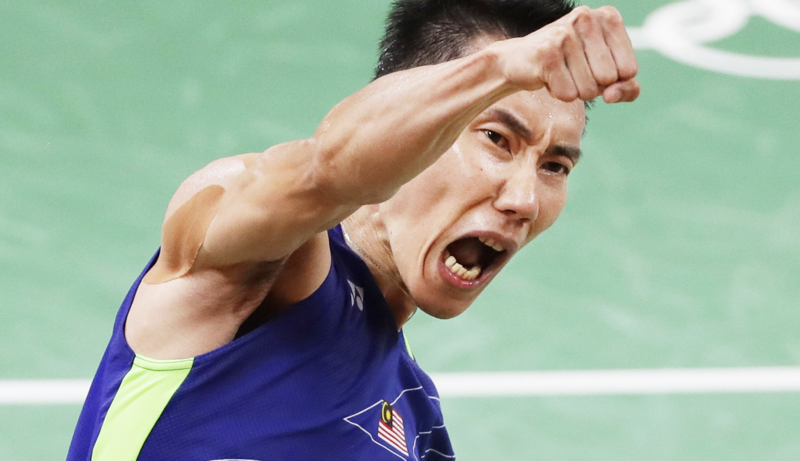 Malaysia is still chasing for its ever elusive first Olympic gold medal, and there will be no more Olympics for Dato’ Lee Chong Wei. Melancholy aside, the intense excitement of Dato’ Lee’s match with Lin Dan still reverberates within me. As I think about Dato’ Lee’s story, the towering figure of Greek hero Odysseus came into mind. Dato’ Lee’s Olympic journey lasted 12 years, whereas Odysseus’ journey home from Troy to Ithaca took 10 years. However, whilst Odysseus rightfully claimed his throne as King of Ithaca upon reaching his final destination, our beloved Dato’ Lee remains a King without a crown, despite all his mammoth struggles, and despite his legendary win over Lin Dan. Dato’ Lee’s and Malaysia’s quest for the first ever Olympic glory started in Beijing. He conquered the preliminary rounds with impeccable skills, stepped into the final, only to have his efforts cut short by Lin Dan, who was, in all fairness, out of this world during that particular match. 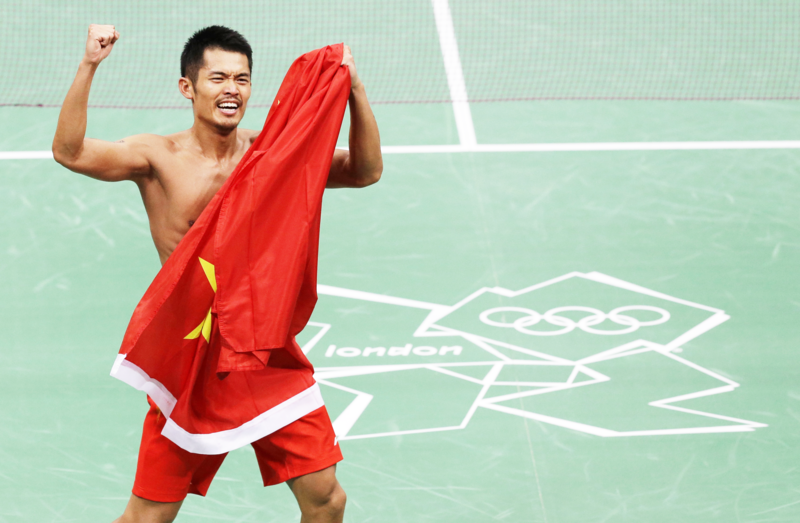 Dato’ Lee persevered, and marched on to the 2012 Olympic final 4 years later, facing Lin Dan yet again. Lin Dan did not have it easy the second time around. We had an excellent start and the game progressed to the third set. Whatever the reason, we were so close yet so far. Dato’ Lee had it in his hands 19-17 but somehow the Gold medal slipped off his hands. We almost saw history repeating itself again last week when Lin Dan staged a comeback from 20-17 to 20-20 during the 3rd set. Nevertheless, we prevailed. Redemption, is ever so sweet. The post-match fist pumps of Dato’ Lee said it all. After repeated defeats in world tournament match-ups, he has finally done himself some justice by claiming a 2-1 victory over his nemesis, Lin Dan, at the 2016 Olympics Men’s Single Badminton Semi-Final in Rio de Janeiro. This match, brimming with breathtaking twists and masterful strokes, will go down in history as one of the finest sporting events ever. As the entire country of Malaysia was still roaring endlessly in ecstasy, this beautiful match finally made its curtain call with a beautiful hug between the two arch rivals, the perfect ending to our modern day epic. We all now know that this epic 2016 Olympic campaign did not culminate in golden glory for Dato’ Lee. Before the Olympics started, call me in-confident or inferior, but as a Malaysian hoping so much for the first gold, despite all the touchy-feely stories and sentiments about Dato’ Lee and Lin Dan, I did not want to see Lin Dan in Rio (come on, give Dato’ Lee a break, and his gold!). I scoffed at Lin Dan’s explanation for his participation in Rio, saying he was motivated by Dato’ Lee, and that the two of them made a promise to meet again on court. However, after watching the semi-final, I am grateful for the opportunity to have witnessed the manifestation of a true epic, and equally grateful for their manifestation that fierce rivals can indeed be the most genuine of friends off court. Very truly, it is not about medals between Dato’ Lee Chong Wei and Lin Dan. It is the brotherhood, the competitive spirit and grit that counts. Dato’ Lee Chong Wei’s story is not about garlands and glory, not even your regular motivational narrative where Providence always rewards the hardworking and skilled. His story, is about winning hearts and minds by bringing out the best of ourselves. Of course, we can be reasonably critical over the causes of his unsuccessful attempts, but for the man himself, suffice to say, he deserves all the respect. Dato’ Lee’s career is an illustrious albeit imperfect one. But, just like the Greek epics, it has always been the melancholic works which have withstood the test of time and lasted for generations. As we brace ourselves to welcome Dato’ Lee back home and look forward to a new chapter in our country’s Olympic gold pursuit, we will be forever proud of the warrior who just kept on fighting. A true King without a throne, Dato’ Lee Chong Wei! Read on to find out why Dato’ Lee is the true Olympic warrior here.